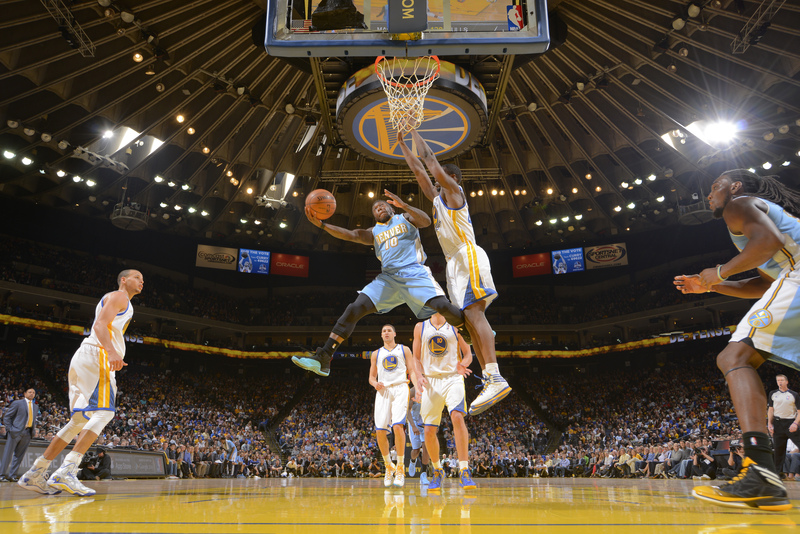 • Nate Robinson’s 14 fourth-quarter points proved instrumental as the Denver Nuggets grabbed a surprising 123-116 overtime road win over the Golden State Warriors. “I love beating my old team, and I got to do that twice tonight,” Robinson explained after the game. When asked what he was talking about, Robinson demurred, but it should be noted that the Cal Bears grabbed a shockingly lopsided 82-56 win over Robinson’s college program Washington behind a monster first-half effort from mustachioed and diminutive walk-on freshman Robin Nathanson. • The Miami Heat dropped their third straight game as the Washington Wizards surged out to a huge lead that they would never relinquish in a 114-97 win. The game’s real wizard, however, was Guringmol the Lewd, who provided Heat center Greg Oden with an elixir made primarily from virgin deer uteri, allowing the beleaguered former top pick to play eight minutes and score six points in his first regular-season appearance in four years. • It took three overtimes, but the Chicago Bulls gritted out a 128-125 win over the Orlando Magic. The Bulls are now 4-1 since Luol Deng departed, but he certainly couldn’t have been the one undermining the Bulls from the inside the entire time, could he? I mean, Bulls head coach Tom Thibodeau personally assigned Deng to figure out who was subverting the Bulls organization … of course! Deng was investigating himself the entire time! And his karmic punishment was getting shipped off to Cleveland before being discovered, which is well known to be a fate worse than death! And look, there’s a rat running across the wall outside my house! Oh, it’s all coming together.